Kristjan is our Chief Investment Officer and the main contributor to our Whitepaper. Kristjan has more than 8 years of experience in the stock market and making a living off his trading, becoming financially independent in the process. His goal is now to help others getting started with the stock market and reaching their financial goals. 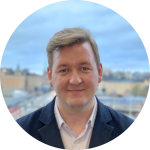 Levi is our Chief Executive Officer and our daily operations officer, with a Master of Science degree from the Swedish Royal Institute of Technology. 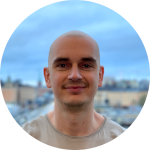 Levi has had the opportunity to learn from Kristjan and has more than 4 years of experience in the stock market and has been trading on his own ever since. 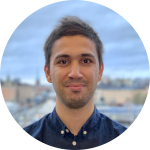 Pablo is our Chief Technology Officer with more than 10 years of experience in web programming and application management, with an eye for details and patterns. Pablo has also had the opportunity to learn from Kristjan and trades occasionally.